iPhotography Light Tricks Course gives you world-class training and an accredited CPD Photography Certificate. Pursue your passion, amaze clients, enhance your portfolio, advance your career. 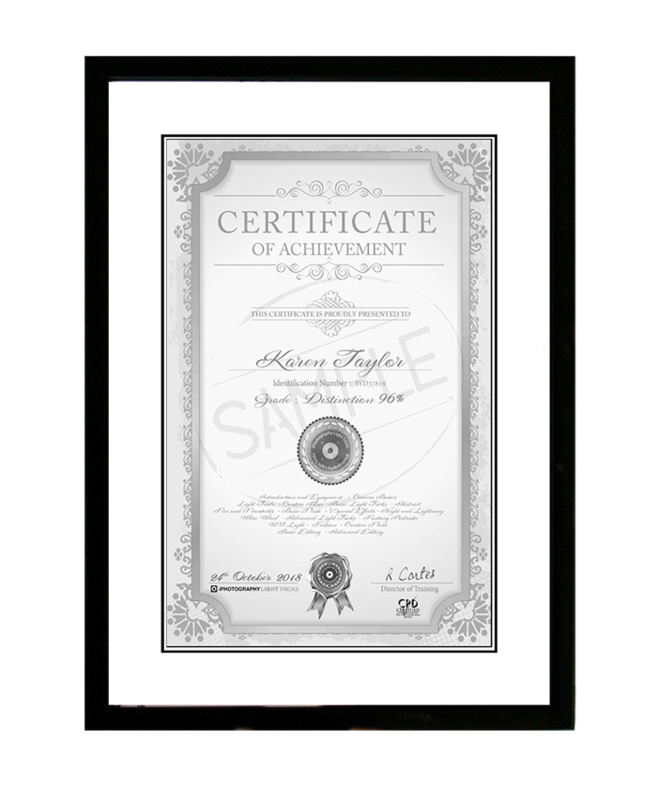 At iPhotography™ we want you to feel proud of your achievement, that’s why you’ll be awarded with a professionally printed, foil-seal embossed Certificate of Achievement on course completion. 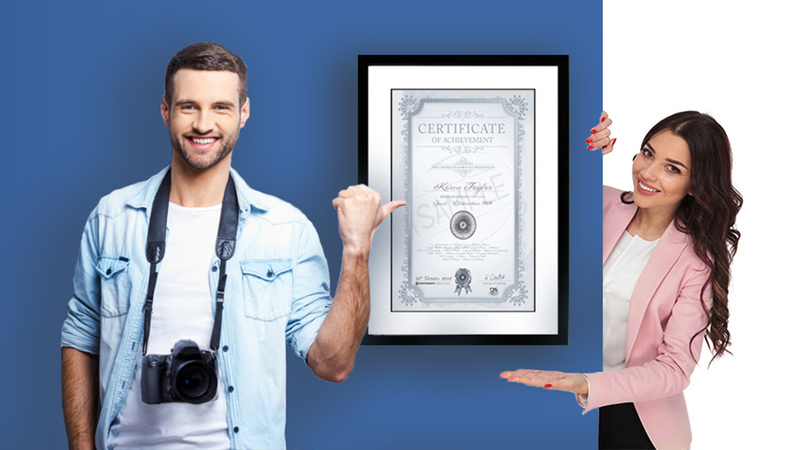 Your iPhotography™ Light Tricks Course Certificate is masterfully printed onto 220gsm premium grade material and embossed with an official iPhotography™ silver foil seal of authentication. It looks and feels special and will arrive at your door within days of passing the course. 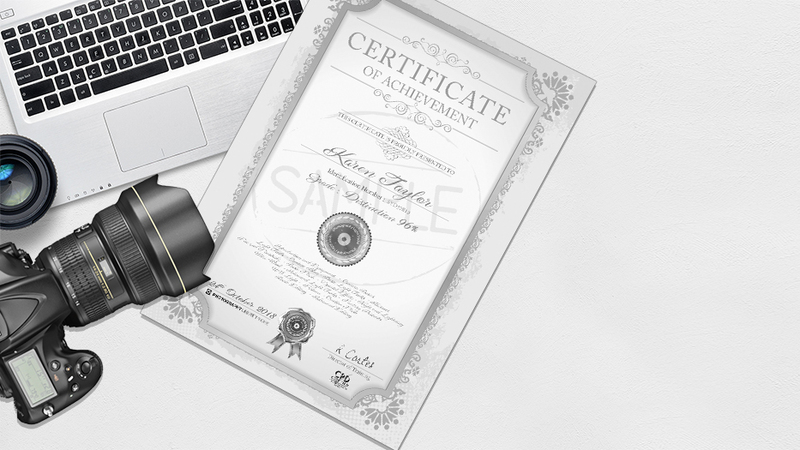 Naturally, you’ll also be awarded with a self-printable PDF version of your photography certificate containing your name, final grade and modules completed. This is instantly available on course completion. iPhotography™ is a trusted training provider of schools, colleges and academic institutes worldwide. By taking this course you gain a genuine photography certification and the peace-of-mind assurance that the training you are receiving has met strict external quality criteria. Passing iPhotography Light Tricks Course is an achievement that gives you a huge sense of personal pride, confidence as a photography as well as significant career advantages. Ready to earn your light tricks photography certificate?